MGX Minerals Inc. (OTCQB: MGXMF) (CSE: XMG) is pleased to announce that joint-venture partner Belmont Resources (BEA) has reported that drilling has reached a depth of 1,798 feet (548 metres) into the playa sediments in hole KB-3, the first hole of the 2018 drilling program at Kibby Basin. The first section of the hole was drilled to a depth of 1,270 feet using a mud rotary method, and the remaining 528 feet was completed with a diamond core tail. A total of 126 samples of drill cuttings from the mud-rotary section of the hole have been collected and shipped to ALS Global lab facility in Reno, Nevada for assaying. Lithium and multi-element assay results from these samples will be compiled once testing is complete. The borehole targeted the southern portion of a large MT conductor, which may represent saturated sediments containing lithium brine. The hole drilled through lacustrine playa sediments – dominantly calcareous clays and silts grading to lithified claystone’s and siltstones at depth. Sand and gravel zones, which may represent brine-bearing aquifers, were encountered at depths of 150-170 feet, 210-230 feet, 260-300 feet, and 900-920 feet, where a potential aquifer in a cobble gravel was intersected. MGX is partnered with Belmont Resources (BEA) on the Property and currently earning a 50% interest with the goal of forming a 50/50 Joint Venture (the “Joint Venture”) to utilize MGX’s rapid lithium extraction technology. Kibby Basin is located in the western portion of the Great Basin in Nevada. The property covers 2,560 acres located in Esmeralda County, Nevada. Kibby Flat is a dry playa and no springs or water sources occur on the Property. 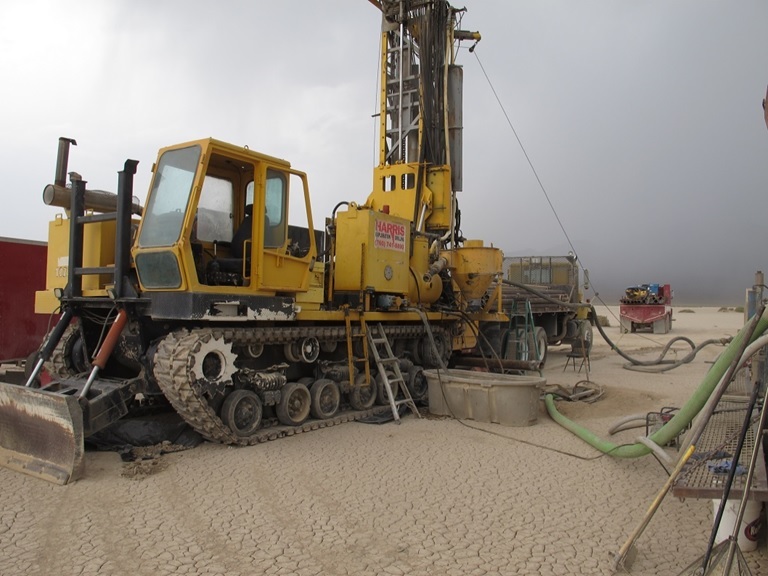 Geothermal research by the Nevada Bureau of Mines and Geology (“NvBMG”) identified three wells and springs in the region. All three sources indicated near-surface water. Nevada has abundant geothermal resources and NvBMG compilation has outlined areas with potential heat flow, based on surface temperatures of springs, drill hole-water temperatures, geothermal-related geochemical signatures, and associated geologic settings. These areas suggest zones of potential elevated heat flow.